No matter how many commercial cleaning tips and tricks you have up your sleeve, restaurants and hotels are hotbeds for germs. Don’t forget to clean these oft-neglected areas. 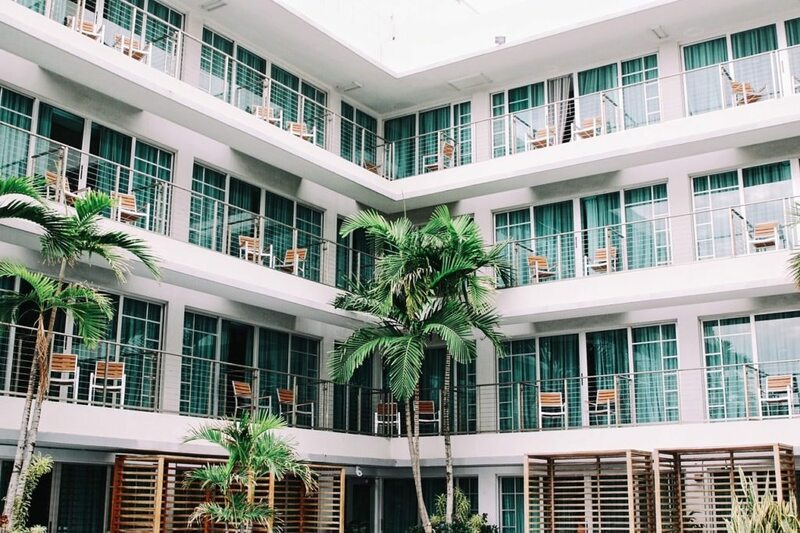 A recent study conducted by Travelmath suggests that hotels—even four- and five-star hotels—are exponentially dirtier than the average home, even though they are presumably cleaned on a near-daily basis. Restaurants are no different. Higher concentrations of colony-forming units of bacteria exist in many places you might not expect within the food service industry. Whether you clean restaurants or hotels, you can easily tackle most of this bacteria just by thinking critically about the places you clean. To get you started, here are a few commercial cleaning tips and tricks that will get you thinking about where germs love to gather. People do all kinds of things before they go to bed. Unfortunately, washing their hands isn’t always among them. Bedside light switches collect hundreds of units of bacteria. Add these to your list of commercial cleaning tips and tricks when you’re changing the sheets (or cleaning the phone). Salt and pepper shakers sit on tables and shelves for who knows how long. Since they contain edible material, you’ll want to coordinate their cleaning with the restaurant manager, but these items are an important add-on given all of the germs they collect from daily use. Whether it’s for a sit-down dinner at a restaurant or room service in a hotel, tackling menus is among commercial cleaning tips and tricks you won’t want to forget. Just think about how many hands touch these menus on a daily basis—and how they are virtually never cleaned! Most menus are laminated or made of some kind of easily-cleaned material. For those that are just made of paper, perhaps suggest lamination to the manager. Though soda taps in restaurants are usually (hopefully) only touched by empty soda cups, there will be those people who refill their cups, or others who feel the need to use their hands. Cleaning these once a day adds to the sense of thoroughness that will make the restaurant manager a customer for life —not to mention it will suggest you’ve got quite a few commercial cleaning tips and tricks up your sleeve. Among the filthy areas discovered in hotel rooms are the TV remote controls and their holsters. The Travelmath study indicates that hotel room remotes carry 70x more bacteria than a TV remote at home. (And how often do you clean your TV remote?) Giving these and their resting places some extra attention will be much appreciated by both the hotel staff and their unsuspecting guests. You might think that paper towel dispensers in restaurant bathrooms should be relatively clean, but the reality is that they are as dirty as most surfaces in a public bathroom. Many restaurants have installed hands-free dispensers, but for those that haven’t, these are a good item to keep in mind when cleaning time comes around. Hotel desks are often used for late night business, which can include eating and maybe even dozing off on a laptop or pile of papers. While they look clean and clear, these desks carry loads of infectious bacteria, and should be thoroughly wiped down during each cleaning. In an age when most people use their mobile phones, it’s easy to overlook phones in hotel rooms and restaurants. However, many hotel guests still make phone calls from their rooms, and restaurants certainly utilize landlines on a daily basis as they field calls from hungry customers. Not only do these phones collect germs from hands, but people also breathe on them continuously as they speak into them. Easily disinfect the phone receiver and number pad with standard disinfectant and clean cloths. It’s a simple add-on and can stop the spread of many unwanted germs. And no list of commercial cleaning tips and tricks for restaurants and hotels would be complete without at least one more place you’ve probably never considered—the thermostats! Adjusted daily by dozens of unwashed hands, these innocent little devices contain more germs than any of us would care to know about. Give these a little extra love at the end of the day, and you can rest easy knowing your team has done all they can do to finish the job right.